JDB Industry lies at the intersection of facility and process, providing specialized services for manufacturers and food processors. Our process engineering team is backed by a full complement of mechanical, electrical, plumbing, and structural engineers, and we are able to provide our clients with complete turnkey design-build delivery. Process engineering, controls, and instrumentation requires the talents of highly trained and experienced professionals, and our team adds further value via our highly technical presentation capabilities, from thorough drawings and specifications to detailed Building Information Models incorporating process and instrumentation diagrams, integrated within the broader building model. 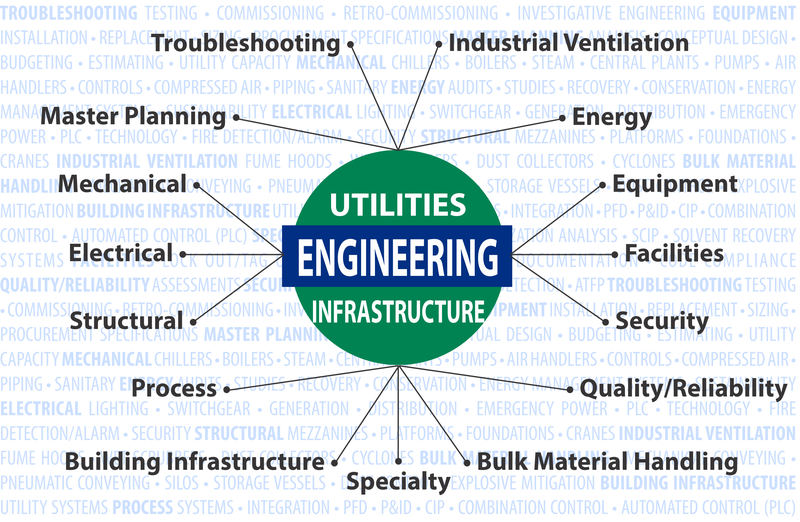 Click to learn about JDB Industry’s expanded services for industry, including turnkey project delivery for utilizes, infrastructure, process, material handling, and more.